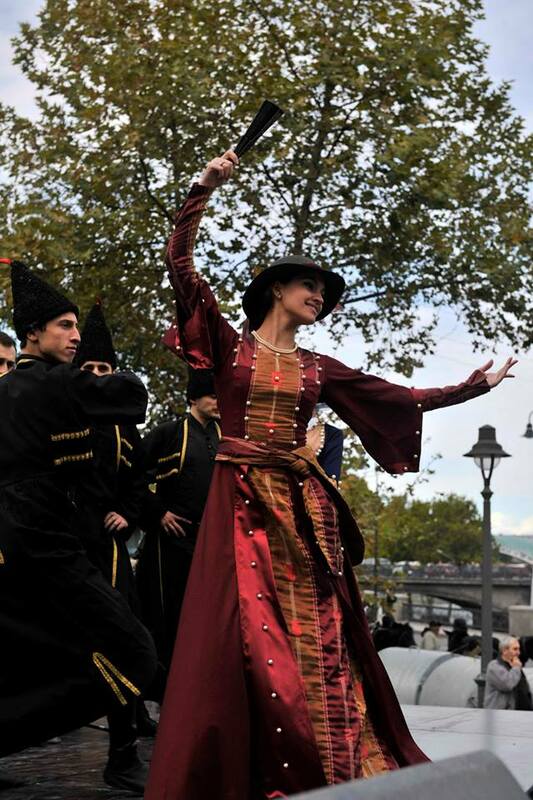 Tbilisoba-2013 (Georgian: თბილისობა) is being celebrated in Tbilisi this weekend (4-6 October). 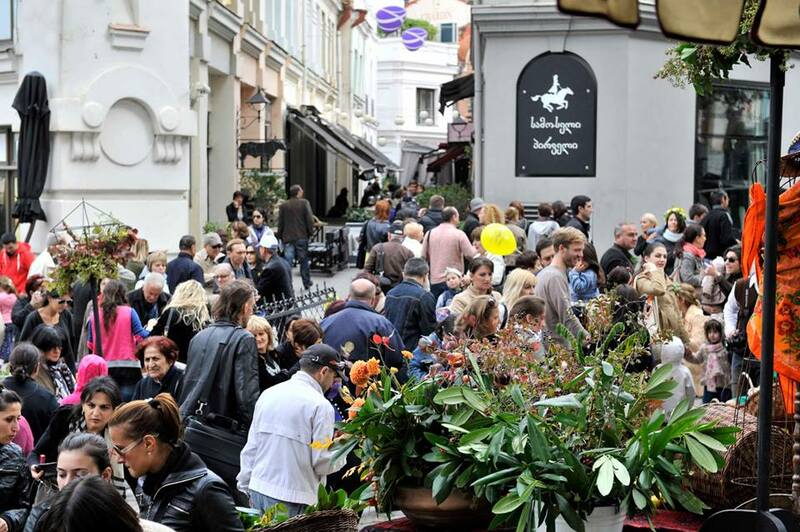 First held in 1979, the festival has become an annual celebration of autumn for Tbilisi residents and visitors. Tbilisoba – 2013. Photo courtesy of Tbilisi Mayor’s Administration. 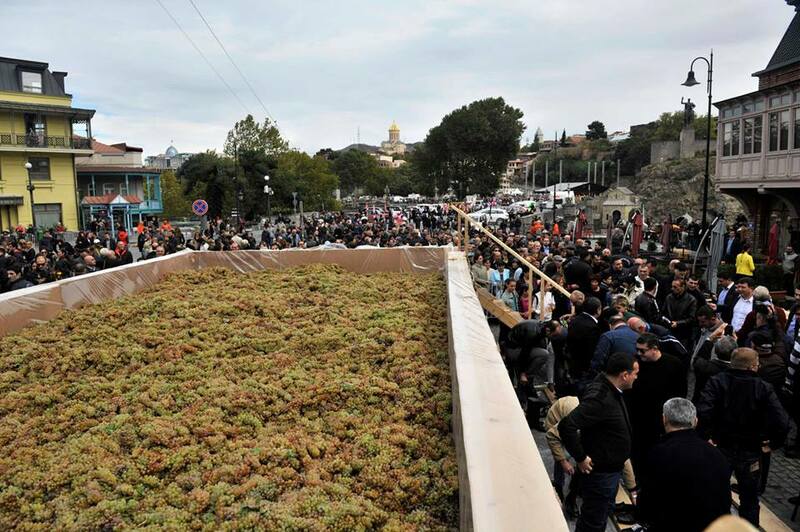 A huge wine-press holding 7 tons of grapes is one of the centerpieces and the Mayor of Tbilisi, Gigi Ugulava, participated in the pressing. The winepress holding 7 tons of grapes at Tbilisoba – 2013. 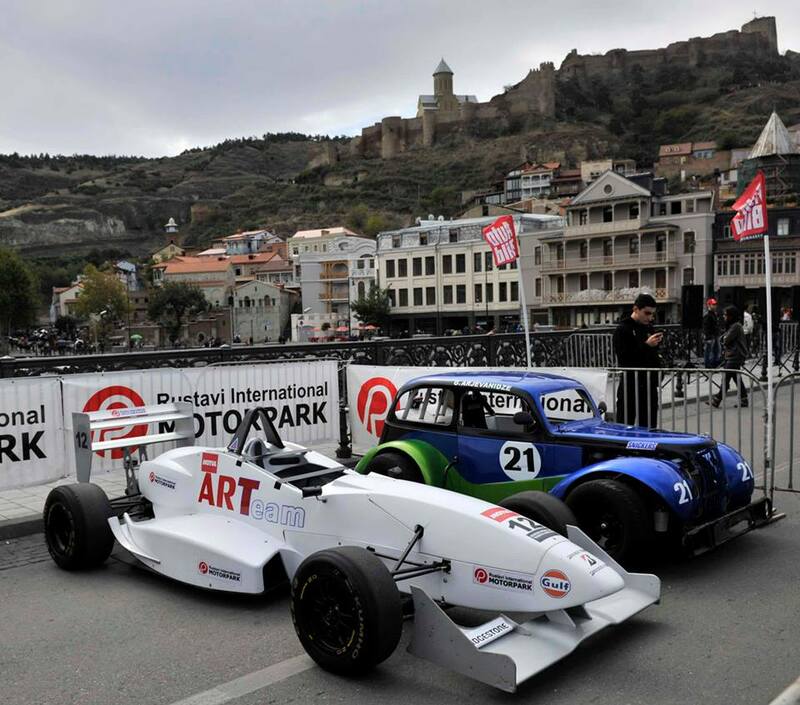 Photo courtesy of Tbilisi Mayor’s Administration. 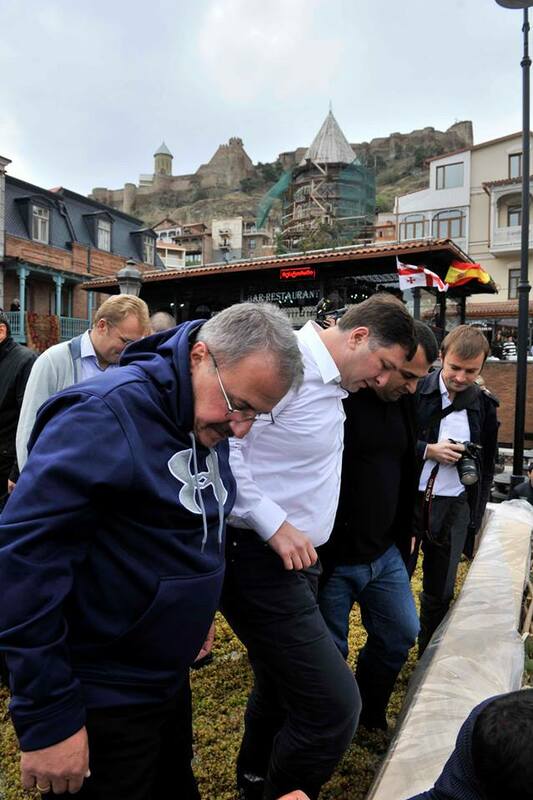 The Mayor of Tbilisi treading grapes at the Tbilisoba – 2013. 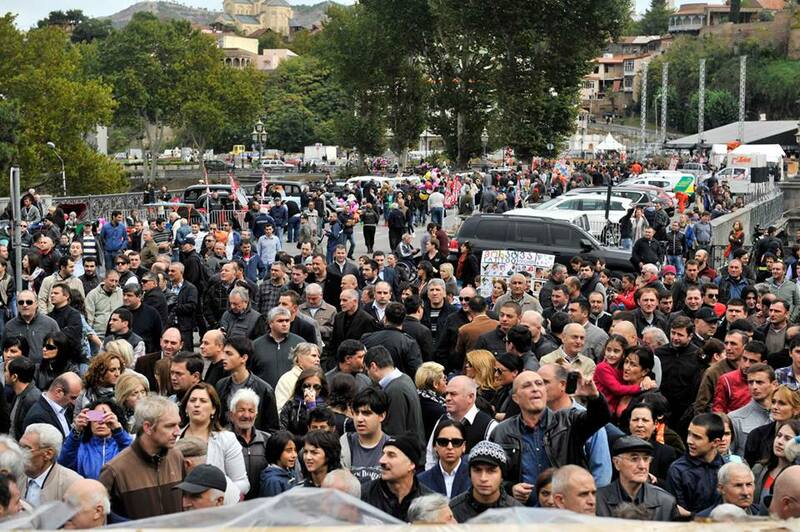 Photo courtesy of Tbilisi Mayor’s Administration. 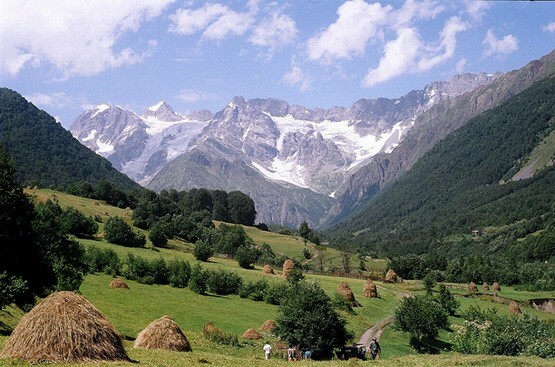 The festivities include cultural events, sports competitions, music concerts, demonstrations of Georgian martial arts, classic car displays, traditional crafts and raft trips on the Mtkvari river. 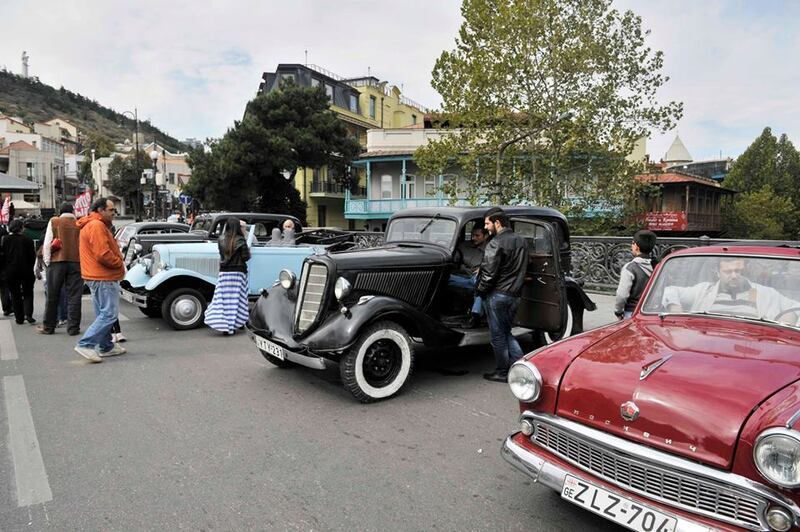 Classic Cars at Tbilisoba – 2013. Photo courtesy of Tbilisi Mayor’s Administration. 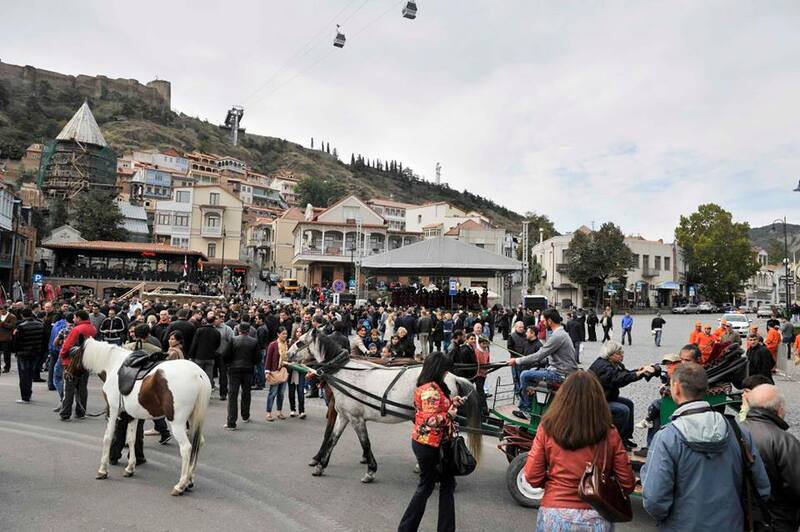 Tbilisoba – a great celebration! 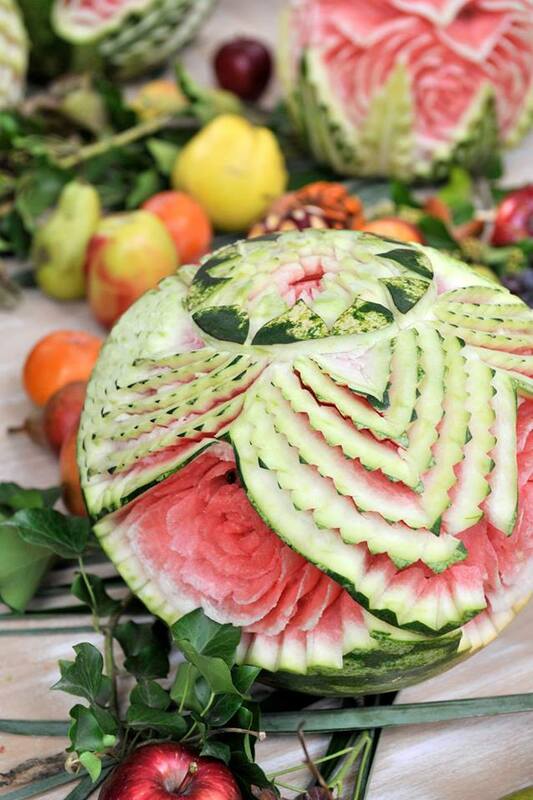 Goodness, that watermelon looks like a work of art!